Whenever you plan on having your sale, advertise a day or two in advance in your local paper, online classifieds, or a local social media group. You’ll also want to post signs on major streets in your area on the morning of the sale, making sure that the information you’re posting can be read from a distance. Bigger sales attract more people. When you have more goods or stuff for sale, then more people will want to be part of your garage sale. Take your time to go through your stuff and get rid of as much as possible. If you’ve got friends or family that want to join you for the day with their own goods, even better! One of the most common frustrations for a buyer at garage sales is not knowing how much the seller is putting the item up for. On the day of your garage sale, you might be busy, so mark all of your items before hand so that customers won’t have to be running after you. Many potential buyers will just pass on an item instead of tracking down the person having the sale. Place a sign along the side of them stating how much the items cost. You might individually price more expensive items in a separate section of your sale or have a one dollar table and a five dollar table set up in one area and then. You’ve been to the store, and you’ve seen how attractive they organize their stuff? Then organize your items in the same way a store does. Place cooking products in one area, toys in another, hang clothes on a garment rack (place men’s clothing on one side and women’s on the other). Display books in an open box on its side with the spines facing out. The day before your sale you can visit the bank and exchange large bills for smaller ones and coins, but make sure you write down your starting amount so you can subtract it from the total to determine your profit. You’ll need at least one roll of quarters, dimes, and nickels. 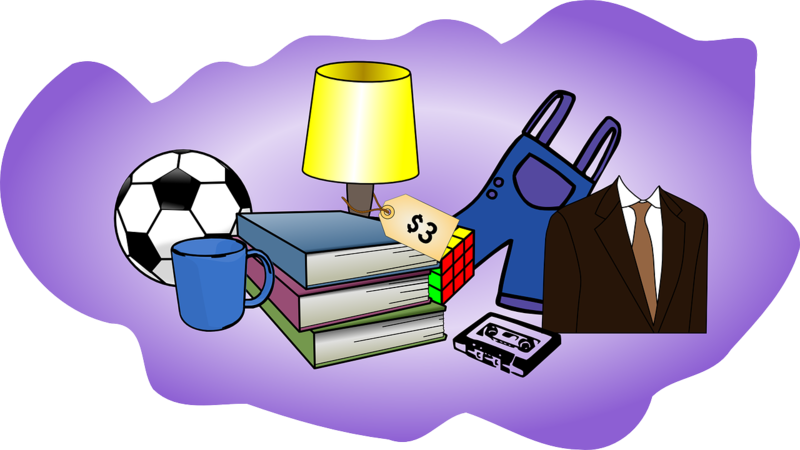 Having a garage sale is a great way to let go of all the items you no longer need and make some money at the same time. However, it can also be a lot of work. Having a garage sale is time-consuming and requires some advanced planning.